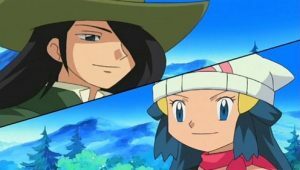 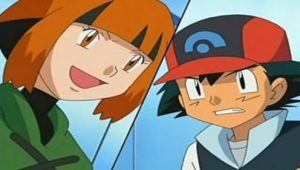 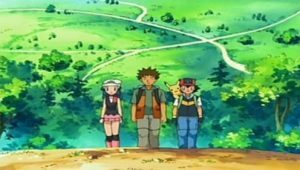 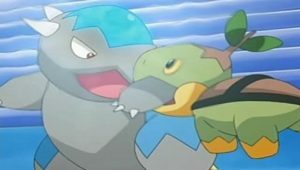 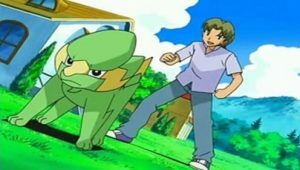 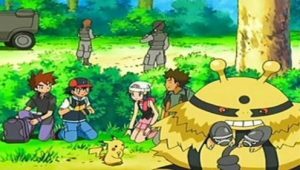 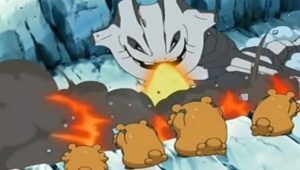 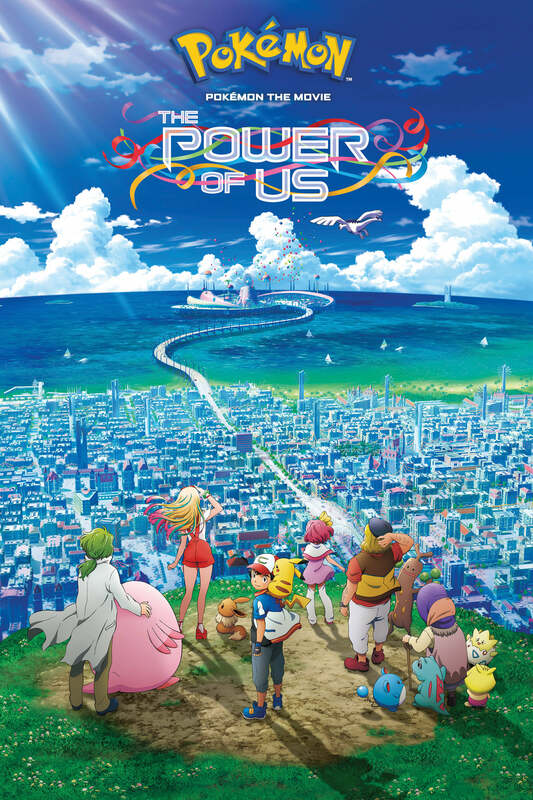 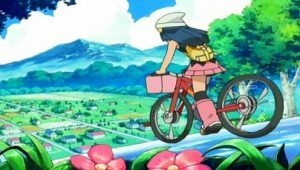 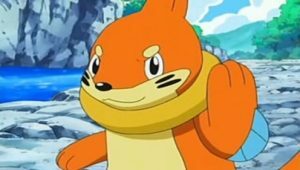 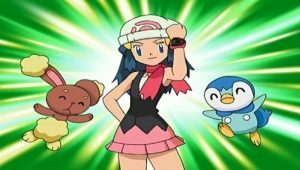 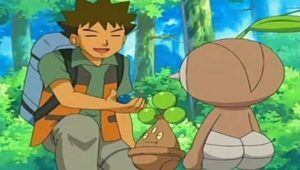 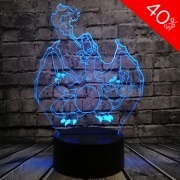 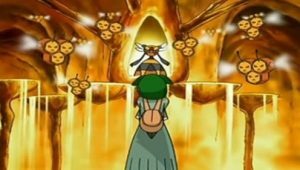 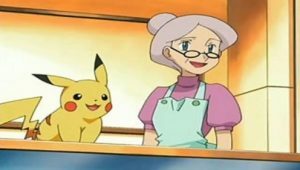 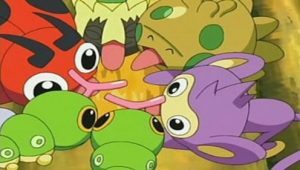 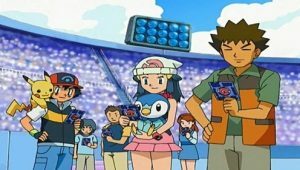 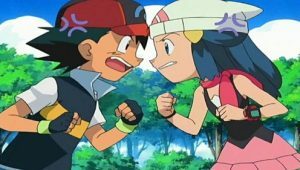 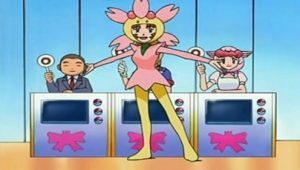 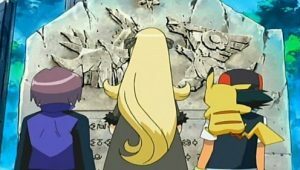 When Ash and his friends pass a village that’s holding an informal Pokémon Contest where the prize is a year’s supply of fruit, Dawn is eager to enter. 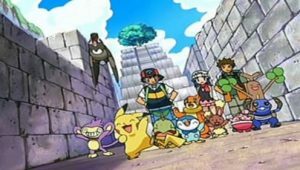 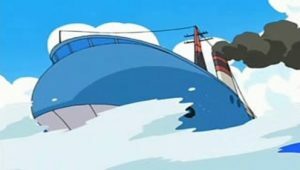 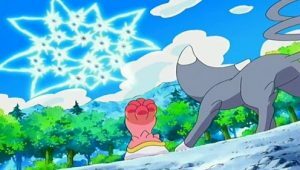 Ash is just eager to get his hat back once Aipom grabs it and runs off, as usual, but Aipom runs too far and ends up stranded on a perilous spire of rock. 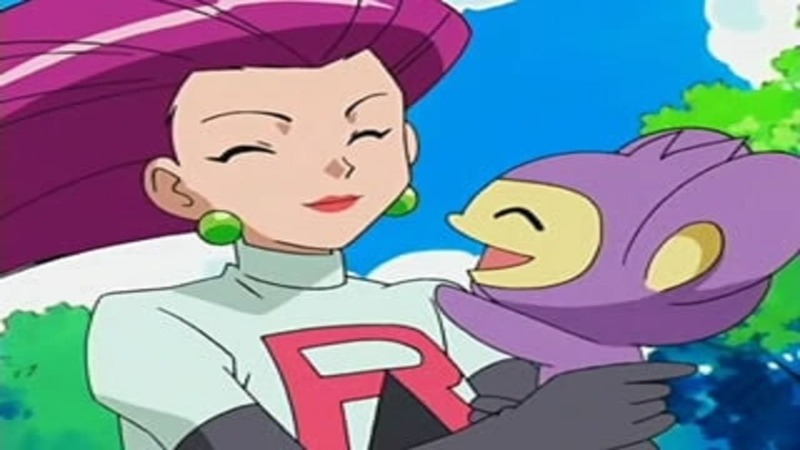 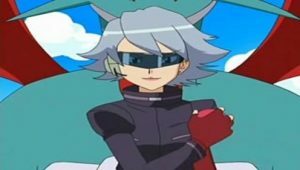 Team Rocket wants to enter the Pokémon Contest too, and Jessie sees her chance when she finds and rescues Aipom. 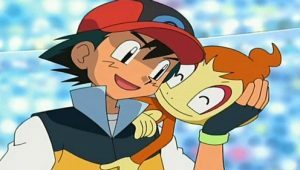 As thanks for the rescue, she persuades Ash to let her borrow Aipom for the Contest, and even Aipom seems eager to make the switch! 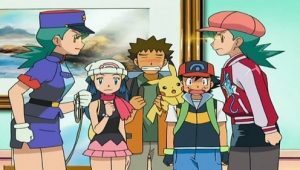 Once the Contest training begins, Ash is nervous about how easily Jessie and Aipom are working together. 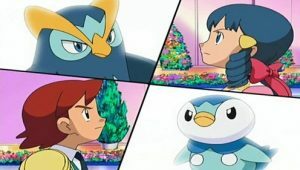 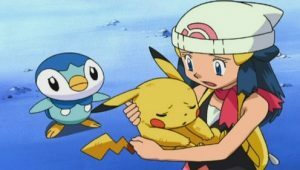 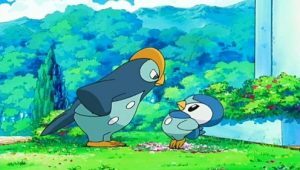 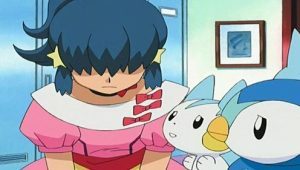 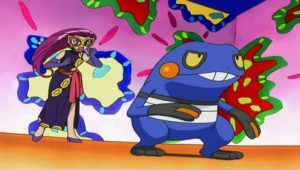 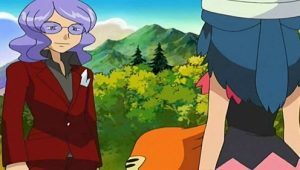 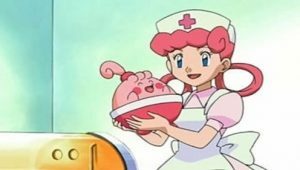 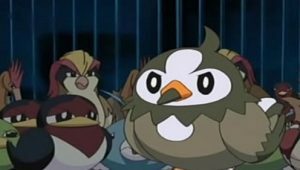 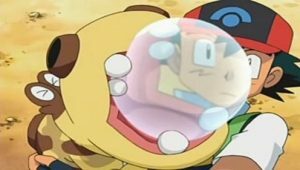 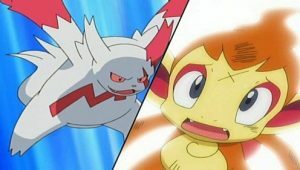 During the first round of the Contest, Aipom and Jessie make a fantastic team, and Ash starts to panic—what if Aipom doesn’t want to come back? 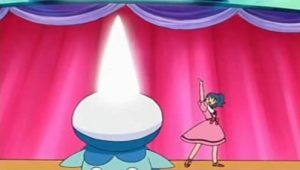 Meanwhile, Dawn’s Pachirisu has a case of stage fright, but it manages to come through with a good show. 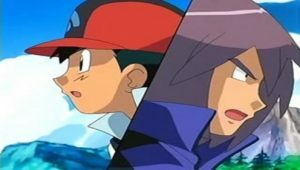 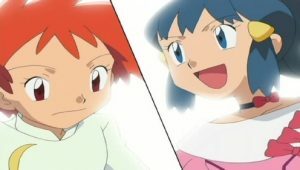 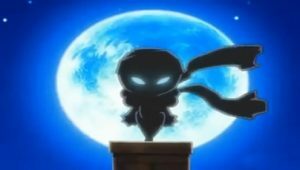 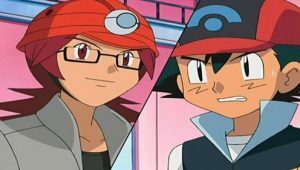 Jessie and Dawn will now face each other in the final round. 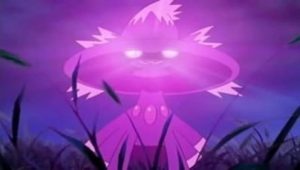 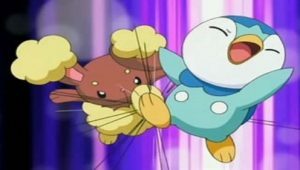 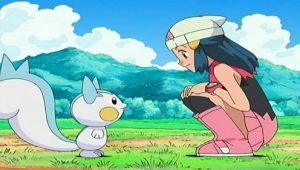 Dawn’s Pachirisu is brave, but it’s unexperienced compared to Jessie and Aipom. Aipom wins the Contest with ease, although Team Rocket is so used to thievery that they steal the prize pile of fruit anyway. 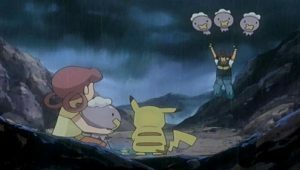 To Ash’s horror, Aipom chases after them and joins their gang. 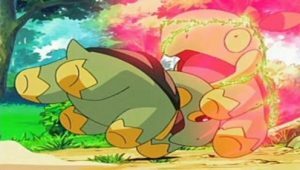 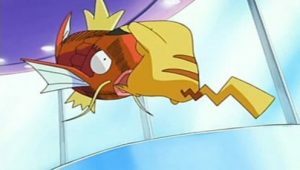 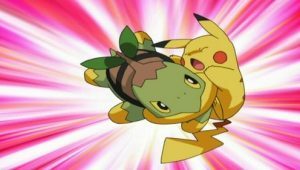 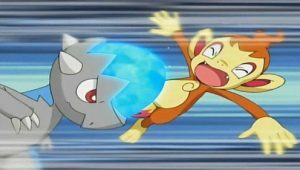 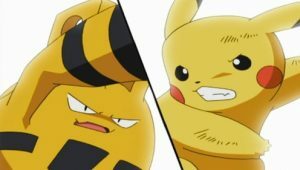 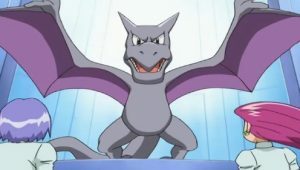 Luckily, Aipom only wants some of the fruit, and when Team Rocket tries to steal Pikachu too, Aipom uses Swift to send them flying before returning to its real Trainer, Ash!